Advance the education of the public in the subject of visual and performance art in all its forms. Promote art for the benefit of the public by the establishment and maintenance of an arts festival. Rather than “simply” delivering a week-long arts festival in October half-term week, for 2016, in a genuine effort to be more diverse and sustainable, COAST worked with partners, new and old, to deliver a year-round programme of opportunities for locals and visitors of all ages to experience the very best of creativity in North Norfolk. All activities were underpinned by the principles of inclusivity, affordability and accessibility whilst, at the same time, promoting quality in artistic practice and fostering young/emerging Norfolk talent. a sell-out CHOIRfest on the 9th involving 130 voices from 6 North Norfolk choirs. We followed these in June (15th-17th) with a 3-day “extravaganza” of Lynne Truss (our new Patron) including talks with afternoon tea at The Dales in Upper Sheringham and dinner at The Sea Marge in Overstrand and an exclusive all-day workshop at Manor Lodge in Witton near North Walsham. Our host hotels and Patron were delighted with the events and this enthusiasm is certainly something that the Trustees can build on in future years. a Rock the Lobster Open Mike in NLP on Sat 13th August during Cromer Carnival. On 29th September at The Sea Marge COAST’s popular Supper Quiz proved successful in both financial and audience development terms. COAST hoped the event would attract 40 participants but there were actually 56. After costs, and with the addition of a table-top raffle, the quiz made a profit of £328. For the past few years COAST Arts (in partnership with NOVA – North Norfolk Organisation for Visual Artists) has organised a competition to encourage artists to enter works for inclusion in an open, curated exhibition. In 2014 the theme was Poppies (commemorating the outbreak of WWI); last year it was coastal Photography with Sea Art sculpture – both resulted in successful shows at The Atrium in North Walsham. Our 2016 competition theme was Quiet Revolution. Artists – young, old, amateur, professional – “revolutionised” their ideas and submitted works for the exhibition, which this year was at The White Horse in Overstrand. Our returning curator, Jenny Rumens, and fellow NOVA members rose to the challenge of transforming this pub into a gallery for the last week in October, delivering an eclectic show and an inspirational experience for exhibiting artists and visitors alike. Natasha Hood’s community singing project – Forgotten Carols & Songs of the Festive Season – with six workshop sessions at The Lighthouse in Sheringham during November, culminating in a concert with guest musicians on 3rd December attended by 60 people. The first ever COAST Christmas Fair at The Lighthouse, also on 3rd December, featuring a selection of invited artisan makers and craftspeople. 2 free family Big Draw events – one in Cromer’s North Lodge Park and one at The Mo Museum in Sheringham. The official opening and COAST Celebration at the Turning Point and the Quiet Revolution Launch and Prize Giving at The White Horse in Overstrand. Cromer Music Evenings concert at Templewood in Northrepps featuring Bertie Anderson’s compositions and arrangements of Poppyland Songs. Writing by the Sea – a self-publishing workshop – at The Sea Marge with up-and-coming author Janet Ellis. Exhibitions in Sheringham: Alchemy in the Town by Brian Lewis at Bees Hall and Alchemy in the Woods, a collective show by Art is Medicine at The Turning Point. Exhibitions Cromer by Samuel Thomas at The Red Lion and Danny Keen at Cromer Library from 3rd to 29th October as part of Norfolk Black History Month (BHM). A historical talk by Susan Curran entitled The Woman Behind a Mediaeval Revolution. 2 free family Calypso Carnival events (also as part of BHM) in Cromer and Sheringham Libraries. 26 opportunities for artists, local residents and visitors to experience and/or participate in cultural activities including: live performances, exhibitions, talks and walks, a competition and workshops, encompassing visual art and sculpture, photography, literature, music and theatre. These took place over 37 days in 121 sessions (morning, afternoon or evening) at 15 locations, including libraries, several hotels and private residences, a theatre, museum, community hall and park, in Cromer, Sheringham, Upper Sheringham, Witton, Overstrand, Beeston Regis and Northrepps. 27 organisations (public, private and voluntary) were involved in delivering this programme. Pre-existing partnerships with funders, venues and/or contributors were consolidated and new collaborations were developed, most notably with the Friends of North Lodge Park. 3450 visitors i.e. the public of all ages (which is an average of 133 per opportunity). 45 professional artists (approx 82% from Norfolk). 98 volunteers (contributing approx 4,000 hours equating to £44,000 at £11 per hr). Promote a diversity of visual and performance artforms. Showcase the variety and quality of work produced in the local area. Offer local communities and visitors affordable opportunities to experience creativity in this rural district. In terms of affordability, 54% of all opportunities (i.e. 14 events) were FREE (compared to 40% in 2015). Others were priced between £3 and £95 with a mean ticket price of £16.66 or £7.69 when the free events are factored in. The Jay Singer’s Songs of Love & Summer Concert at St Peter’s Church in Sheringham on Sat 18th June. FALCON’s Arts Council funded Carnival of the Animals project involving 5 primary schools in workshop sessions with the musicians of Parnassus chamber ensemble. Led by internationally renowned conductor, Peter Stark, Parnassus performed Saint-Saens’ work in Holt Primary School for 250 children on 13th July and in a public concert in St Andrew’s Church in Holt on 14th July. Sheringham & Cromer Choral Society’s Royal Gala Concert at the Auden Theatre in Holt on 16th July attended by 138 people. ANN’s week-long summer theatre academy for 8-17s (27 participants) culminating in their performance of The Time Machine Adventure, written by Joseph Ballard, at the Atrium on 27th August attended by 108 people. Cromer & Sheringham Operatic & Dramatic Society’s production of Bracken Moor at Sheringham Little Theatre from 12th to 15th October. Sheringham & Cromer Choral Society’s FREE Come & Sing Haydn’s Nelson Mass at The Lighthouse (100 participants) and concert at St Peter’s Church, Sheringham (audience 40) both on 15th October. FALCON’s autumn concert featuring Francina Moll Salord (violin) and Margalida Moll Salord (piano) on Sun 16th October in St Andrew’s Church in Holt. Kim Edwards and Other Artists at The Art House Cafe in Cromer from 17th October to 26th November. The Jarrold Cromer Literary Lunch at The Cliftonville Hotel in Cromer on 11th November with guest speakers Julia Blackburn and Christina Stockwell. Sheringham & Cromer Choral Society’s In Every Corner Sing in St Peter’s Church, Sheringham on 26th November attended by 135 people. My Week with Marilyn film screening on 25th October to continue the programme of cinema matinees with afternoon tea aimed at an older audience. Veronica’s Room performed by Baroque Theatre Company on 27th October. A concert by Manchester Camerata as part of Norfolk District Council’s 2016-17 Orchestras Live programme. 140 people (75% capacity) enjoyed the concert, which included a contemporary work by Deborah Pritchard – a piece inspired by Hughie O’Donoghue’s paintings entitled Seven Halts on the Somme in commemoration of the centenary of the Battle of the Somme this year. 6 North Norfolk walks as part of Norfolk County Council’s Norfolk Trails Walking Festival from 22nd to 30th October. 2 family events on Cromer Pier: Cbeebies Sid’s Show on 26th October and a Halloween Open Day on 29th October. 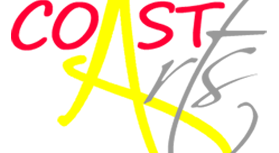 Promotion of all these partner and associated events was largely achieved by another new initiative for 2016 – the COAST Arts Magazine. Two high quality, 210mm square magazines were produced, entirely by volunteers, in 2016. Replacing our annual DL programme leaflet, they featured not just COAST Arts event listings but also editorial, articles and listings of other “must see/do” happenings in the area. The first, published in May, included: a review of COAST’s CHOIRfest, a Q&A with Lynne Truss, a call for artists to submit works for the Quiet Revolution, articles about the eastern hub of the Contemporary Glass Society, Arts North Norfolk, Sheringham & Cromer Choral Society and FALCON, a recipe from the chef at The White Horse (a long-time supporter of COAST), and three features about or written by artists: one, by Annie Lloyd and Elaine Noakes, reflecting on the Giacometti exhibition at the Sainsbury Centre and the Open Studios Exhibition at the Old Workshop Gallery in Corpusty; one about beachcombing by Jenny Rumens; and one featuring wildlife photographs and commentary by Andy Bamforth. The second followed a similar format but with more pages dedicated to the COAST Festival events programme. It included: a review of COAST’s Lynne Truss extravaganza, a Q&A with Brian Lewis, articles about NOVA, Susan Curran, the Norfolk Trails Walking Festival and John Hurst’s special relationship with Sheringham Shoal Offshore Windfarm, and two artist features: one, again by Annie Lloyd and Elaine Noakes, reflecting on the nature of community; and one featuring photographs and commentary by Shane Mallet. 5,000 copies of each magazine were produced and distributed across North Norfolk by volunteers and also door-to-door in Holt, Cromer and Sheringham with copies of the free Holt Chronicle, Sheringham Independent and Cromer Times. The magazines attracted £3,500 revenue from advertising and sponsorship, which is pretty impressive for a first effort. The design, print and distribution costs were £4,284. The new coastarts.co.uk website was kept informative, user-friendly and up-to-date – with regular feeds to Facebook and Twitter – by a professional communications/web manager and volunteers. Other printed publicity and e-marketing tools were used to great effect. Monthly e-newsletters to COAST’s 447-strong e-distribution list featured upcoming events and opportunities; 7 daily newsletters were issued during festival week. Comments were invited via websites, social media and e-newsletters. The feedback received was largely positive with the majority of contributors reporting benefits and/or expressing a desire to be involved in future initiatives. In a challenging economic climate COAST is pleased to confirm that its 2016 activities made a very small surplus of £118 (compared to a loss in 2015 of £958), demonstrating sound financial management and a careful approach to spending. The difference in percentages between 2015 and 2016 reflect the change in emphasis from a week-long festival to a year round programme and the decision to produce two high quality magazines. COAST 2016 was evaluated (in terms of its success in meeting aims, objectives and financial targets) by its Trustees at meetings in December 2016 and January 2017. The consensus was that, given its track-record and ongoing supporters, COAST should continue into 2017; with the recognition that there would need to be some significant changes – building on momentum and partnerships – to ensure sustainability and alleviate volunteer fatigue. Plans will be developed over the coming weeks. This review was prepared by COAST’s Treasurer and approved by its Trustees on 27th January 2017.